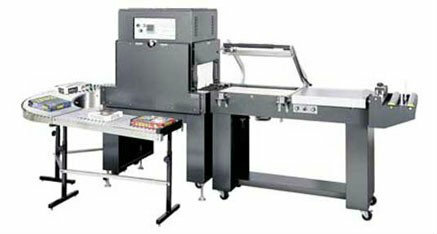 TP-1622MK L’Sealer and TP-1808-28 Shrink tunnel built on common frame. L’Sealer adjusts from side to side to center package into shrink tunnel while tunnel adjusts up and down to match height of discharge conveyor on L’ Sealer. One power source 220V, 1 phase, 45 amps. Includes pin wheel hole punch, locking casters and 8 ft power cord. TP-PP1622HK-Combo Hot Knife Solid seal blades with digital temperature controls, great with polyethylene film. TP-1622MK-Combo SS Stainless Steel wipe down.